Celebrating the launch of the new and exciting ‘La Cafetière Lifestyle’ brand, This new ceramic cafetière has been designed exclusively for La Cafetière® by Alison Appleton. 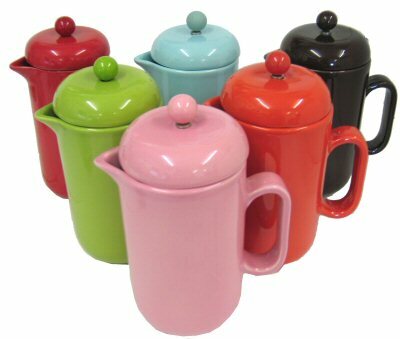 Combining symmetry and design this cafetière is available in six exciting new colours, suitable for any lifestyle. Colours shown above but not available to order. These have all now been discontinued.